Which role best describes you and / or your team: sales ‘director’ or sales ‘waiter / waitress’? No, I’m not talking real job titles – I assume that would be easy to answer – and possibly you’re neither. I’m talking about your approach to sales and selling. Are you in charge of your destiny and the destiny of your business: DIRECTING, leading and controlling your sales and sales process? Or are you busy WAITING: waiting on people, waiting for the phone to ring, waiting for an email to ping, waiting for people to respond to your proposal, waiting for your customers to need you, waiting for the luck of the gods to land that big deal in your lap – waiting, hoping, expecting…? The days of low hanging fruit are well and truly gone. The days when you can simply wait by the phone or just walk out the door and easily pick up business are no longer there, if they ever were. The best of the crop is likely to be at the top of the tree and therefore requires a lot more skill and preparation, as well as the right tools to scale the heights required. Simply showing up is not enough! Customers too are far more selective about who they will pick to work with – seeking referrals and recommendations, doing their homework before buying or entering into negotiations. This therefore requires the seller to become a director – carefully and skilfully directing customers and prospects to you, making sure the directions are clear and meaningful so they can easily find you and easily establish that you’re the best and most obvious choice. Are you signposting and directing your target audience carefully to you or are you waiting and hoping they will simply find you? Value justification is paramount. 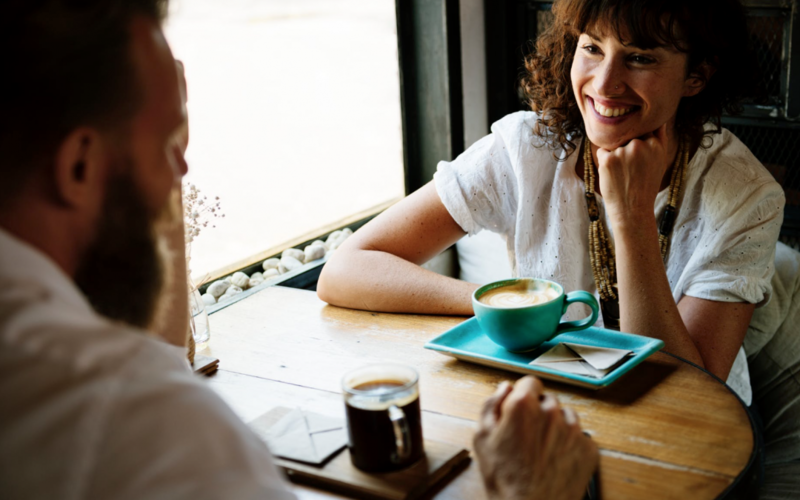 When you finally connect with potential customers, whether they found you or you found them, a common theme of our times is the length of time it takes to close the deal and the amount of haggling over price. Behind this lies the basic problem of many sellers: an inability to get across VALUE and a complete fixation on price and being the cheapest. Yes, of course customers want the best deal but that does not necessarily mean the cheapest. They want to understand clearly the benefit and value of spending more when a cheaper option seems to be available. A waiter’s approach to selling waits for the price to be an ‘objection’ and then drops it or haggles over it to try and win the deal. A director’s approach is one of confidence, clarity and focus: clearly and intelligently working with the buyer throughout the process to understand his needs, pains, expectations and budget, then carefully and skilfully being able to lead and direct the buyer ‘willingly’ towards purchasing the product or service that matches his needs and gives best value, without too many tiresome objections. A director can also usually influence budget and the amount of money the buyer has available, rather than accepting a limitation that may not be real. Customers are addicted to DIY. More and more customers are simply doing it themselves – they believe this saves them money regardless of the time it takes. Everything is available online so the trend is to cut out the middle man or sales person. “I can create my own holiday (why use a travel agent? ), shop around for the best insurance (why use an insurance broker? ), download my own music (why visit a music shop? ), make my own cupcakes (why use an expensive caterer / baker?”). So if we are not about to witness the ‘death of the sales person’, then the seller must truly ADD VALUE and be perceived as a positive influencer, expert or director versus someone who merely gets in the way ‘waiting around’ for an order. Purely transactional sellers add no significant value either to the buyer or the seller’s business and can be easily replaced by technology and / or an effective process – they are superfluous. Intelligent, directional selling, on the other hand has a key role to play as it provides both the buyer and the seller’s business with real strategic purpose, vision and profitable long term results and value. Multi-tasking is the new norm. As businesses streamline and cost-cut, many people are multi-tasking and are often over-burdened and stressed. This applies both to the buyer and seller. Most people are operating in the ‘URGENT / IMPORTANT Zone’ (see Stephen Covey’s Seven Habits of Highly Effective People) and failing to find time to be strategic about their long term visions, goals and needs – the NOT-URGENT but IMPORTANT stuff. This presents a challenge and an opportunity for intelligent directional sales people. Your buyer may not have the time to be strategic and therefore often is not ‘open’ to your product or service (challenge!). Your buyer may require you to be a stimulating and challenging director on their behalf (opportunity!) – helping them create clarity and vision by taking time to ask intelligent questions and help develop appropriate worthwhile solutions to real challenges and issues that they may not yet have anticipated. Paralysis through risk avoidance and fear. What lies ahead? No one knows. The common theme of our times is uncertainty and this leads to risk avoidance and procrastination. If you are to overcome the greatest barrier to effective selling – fear of change – then you have to above all else inspire trust, respect and confidence. Your customers must see you as someone who they believe in, who will be there for the long haul, who will deliver on their promise and who will stand by them when or if things start to go wrong. CREDIBILITY and BELIEF in you as someone with backbone is of paramount importance if you are to create, control and add value to the sales process. Finding the leader in us all. In a world of great uncertainty, change and challenge the future is likely to be defined by inspirational leaders who have great vision, courage and strength to see and take action, and influence and inspire others to do the same. I believe in our business world: we must all challenge ourselves to be better leaders, instead of followers or waiters, and this applies as much in selling as anywhere else. Does the clarity and passion of our conviction in our products and services allow us to create an exciting new vision for our customers; do we have the courage and strength of our conviction to help us communicate effectively about this new world and bravely lead our customers to exciting new places – overcoming their fears, reluctance and concerns; do we boldly lead them to a better place where they gain significant benefits and value from working with us; and do they recognise the power of what we have accomplished together, so much so that they are inspired to go and talk freely about the amazing business we represent and become our business ambassadors?